The heart of the ESO Supernova is a digital planetarium which offers a unique experience through the use of state-of-the-art visualisation techniques. It is the largest tilted planetarium dome in Germany, Austria and Switzerland. The shows are displayed on a 360-degree dome, 14 metres in diameter. 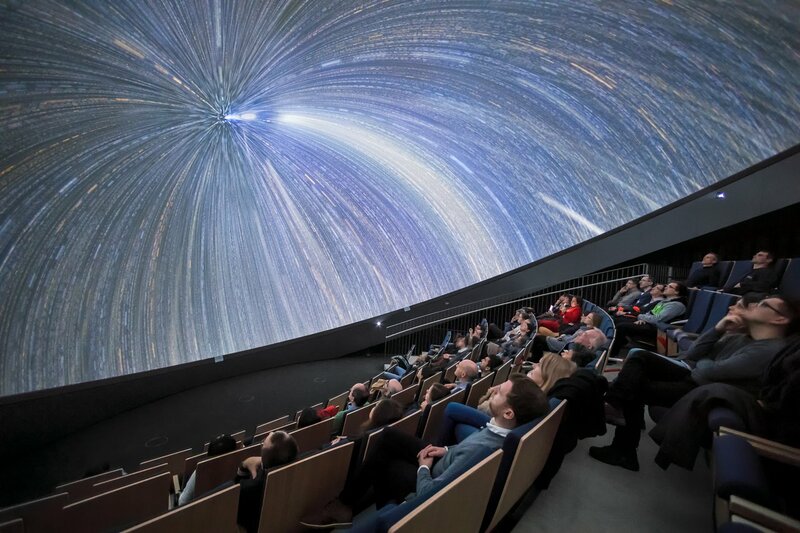 The clear, digital projection and three-dimensional astronomical database ensure a unique and immersive experience. The dome can seat up to 109 visitors, has an inclination of 25 degrees, and gives you the experience of not only watching a show, but also of being in the middle of the action in the Universe. This, combined with the most up-to-date programmes for our planetarium shows, create a stunning experience that completely immerse you in space! Enjoy several different kinds of shows in German as well as in English, all including a live component that shows real-time events in the night sky and contains information about recent astronomical discoveries. Check our daily programme for the timings for your favourite show. The ESO Supernova also offers the first real-time, data-driven distribution system for planetariums in Germany, the ESO Member States and the rest of the world. We also share all our planetarium products with the community, making the ESO Supernova the first open-source planetarium in the world. The planetarium has 5 Velvet projectors with a total resolution of ~4250 pixels. 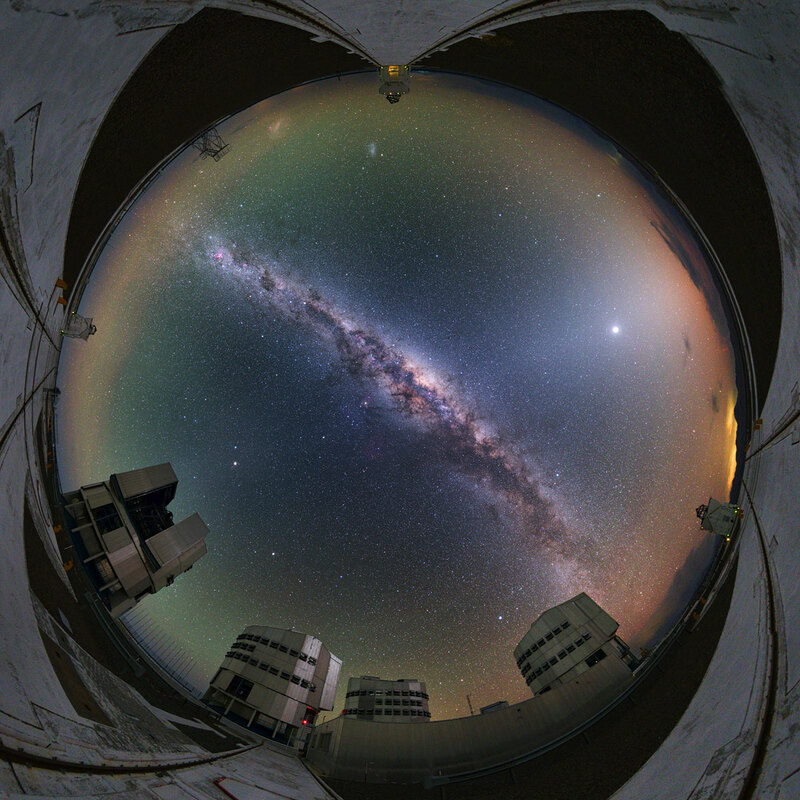 It is driven by the software packages Digistar 6, Uniview, Powerdome, World Wide Telescope, Resolume and Space Engine. The dome is a 14-metre Astro-tec 58% reflectivity dome with Ultimate seam.